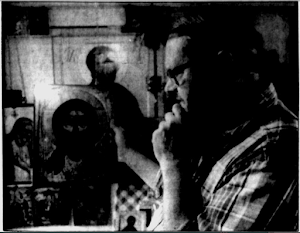 and whisking away to their laboratories, the whole-body relics of many saints from churches,[ as they did with the whole body, incorrupt relics of St. Theodosius of Chernigov], was so that they could learn 'the church's tricks/secrets' for artificially/chemically preserving those bodies,[ they were convinced of this atheist supposition], so that, they could then use those same 'tricks of religion' [ chemicals, etc.] to also make Lenin's body [ their communist 'saint'], seem, 'incorrupt'. 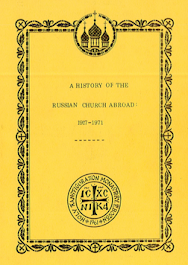 They have always wanted the Russian people to come and venerate their 'holy man', as previously Russians came to venerate the remains of the saints. 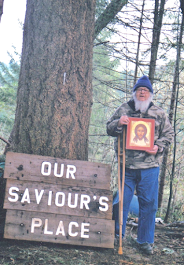 Of course, they never believed in any supernatural or divine preservation of the saints' bodies, nor in THEOSIS. "The fool has said in his heart, 'there is no God!' "
Russia's government has announced it will spend up to 13m roubles ($200,000; £140,000) this year on preserving Vladimir Lenin's embalmed body. The amount, published in a notice on the State Procurement Agency website, will be used to keep the late leader's remains in what the RBK news website calls a "lifelike condition". The notice says the work required is of a "biomedical nature", that the federal budget will foot the bill, and that a provider has already been found, although not named. A laboratory currently called the Russian Biomedical Technology Research and Training Centre has carried out all repairs to Lenin's body since it was first put on public display in Moscow's Red Square in 1924. 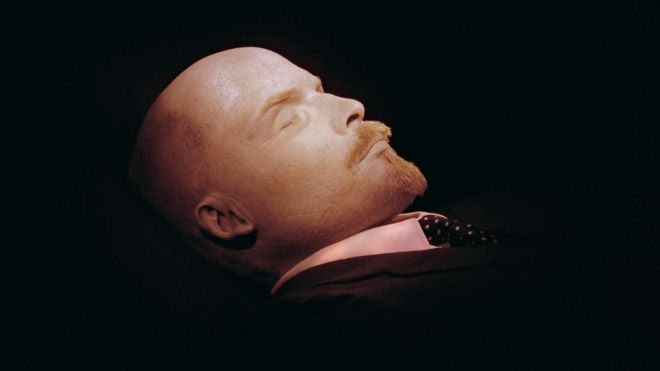 In the post-Soviet years there have been many calls for Lenin to be buried rather than kept on public display in his glass coffin. 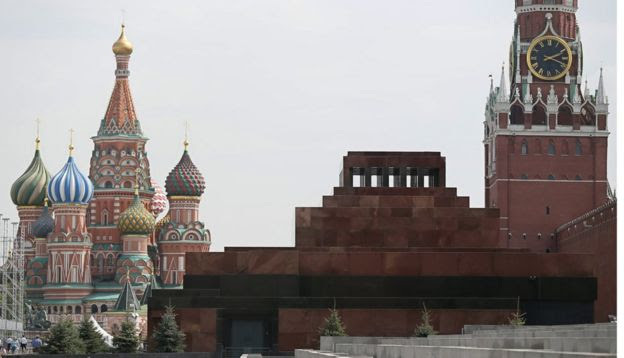 A recent online poll of more than 8,000 Russians found that 62% were in favour of giving him a proper burial, although the idea has previously been dismissed by the Kremlin. News of Lenin's maintenance budget hasn't gone down well among social media users. On the Komsomolskaya Pravda website some deplore the cost of keeping a "mummy" on display, while others complain that Lenin himself would have opposed being treated as an "idol". One person sardonically suggests that the Communists hope to clone the Bolshevik leader if they ever return to power, and another says that if they're going to bury Lenin they should first dig up post-Soviet President Boris Yeltsin.